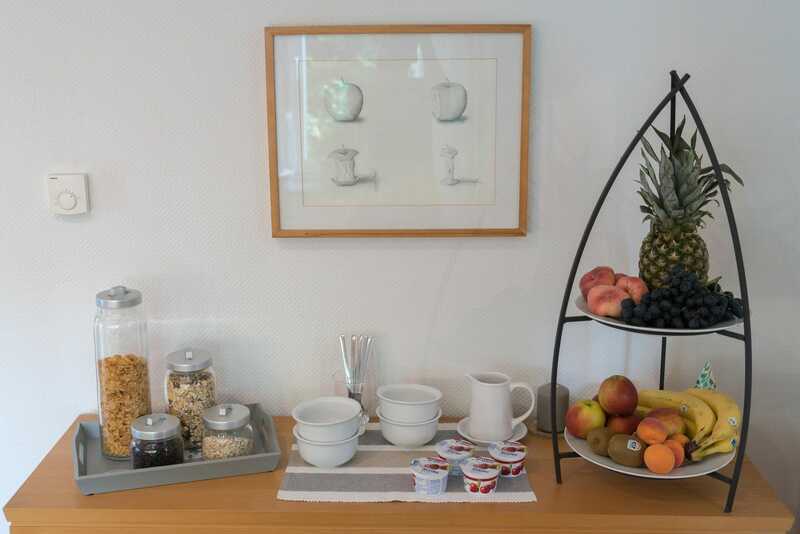 We are a family-operated bed and breakfast, located near the trade fair â€œMesse DÃ¼sseldorfâ€�, the DÃ¼sseldorf airport and the â€œMerkur Spielarenaâ€� event stadium. 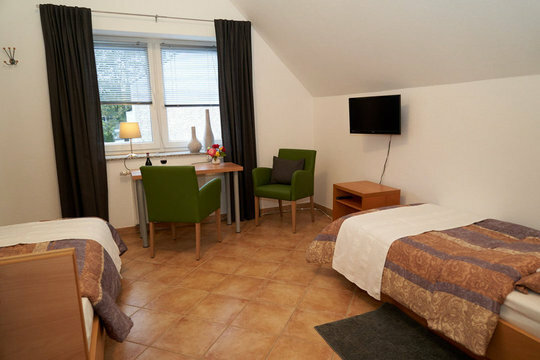 Our accommodation features five attractive, affordable single and double/twin rooms. 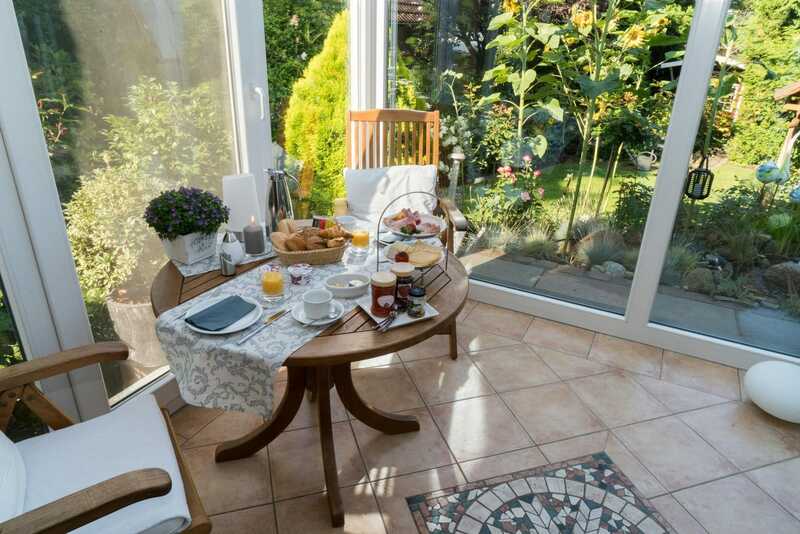 There are many good reasons to stay at our guesthouse in DÃ¼sseldorf. One of them is the trade fair â€œMesse DÃ¼sseldorfâ€�. Exhibitors and mechanics value the short distance to the trade show grounds just as much as all the international visitors. Our accommodation is not only a good choice for business travellers â€“ itâ€™s also a great pick for your vacation with friends or family. 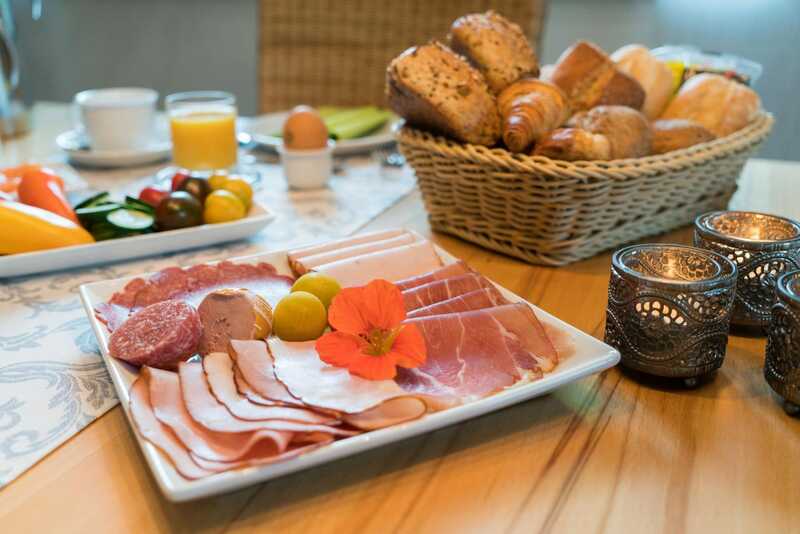 Furthermore, our bed and breakfast is popular with cyclists that stop during their trip on the â€œRheinradwegâ€� (the nearby long-distance cycling route), for example. 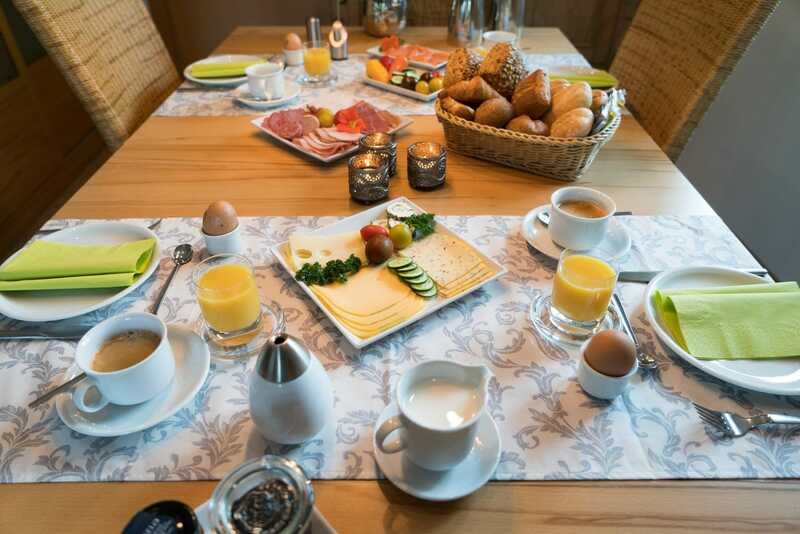 And if youâ€™d like to sleep in after an event at the â€œMerkur Spielarenaâ€� event stadium, youâ€™re in good hands with us as well! 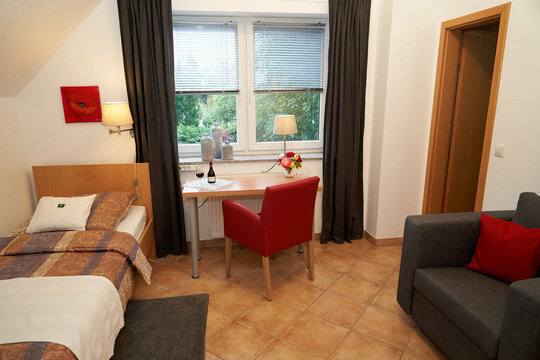 Our international visitors appreciate our guesthouseâ€™s proximity to the airport, as well as the easy accessibility of the city centre including its historic old town. 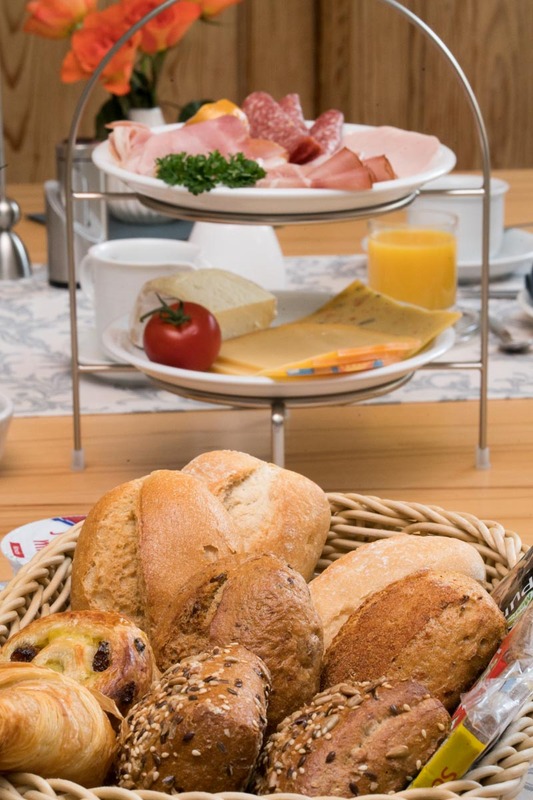 The hospitable atmosphere, a varied breakfast and our accommodating service guarantee a pleasant stay in DÃ¼sseldorf â€“ no matter the occasion. We are looking forward to welcomimg new and returning guests from all over the world! 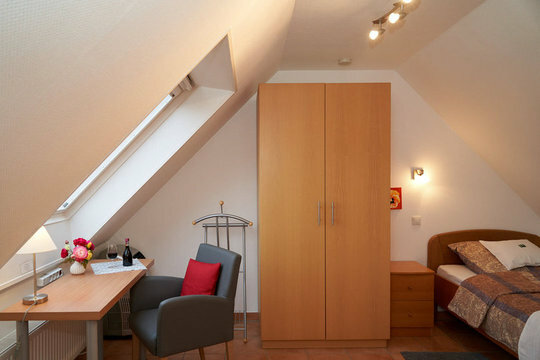 Our accommodation in DÃ¼sseldorf features five spacious, bright and friendly guest rooms. 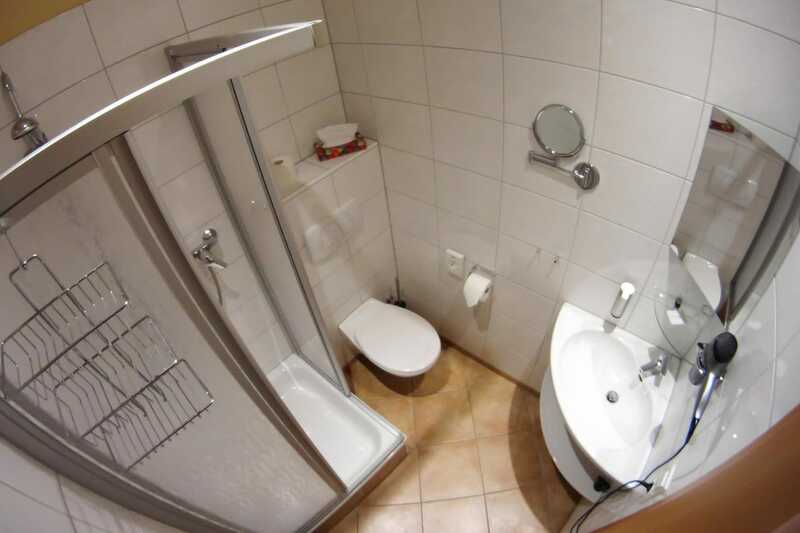 We offer three single rooms and two double rooms. If you are a family or group, youâ€™re more than welcome to book multiple rooms in combination. Perfect for one person â€“ business or leisure. 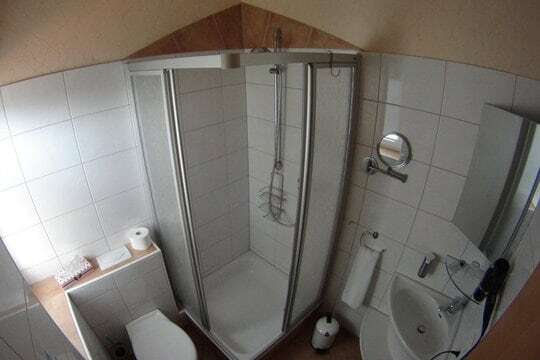 Fitted with either a double bed or two single beds. 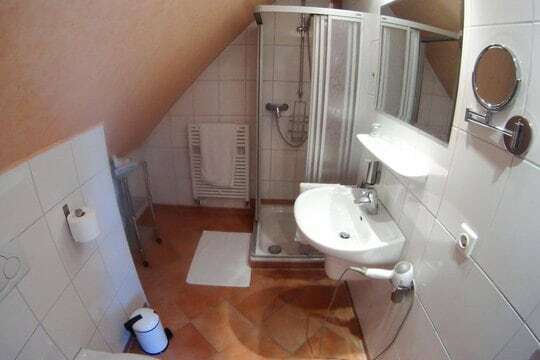 Also bookable as a single (at a lower rate). 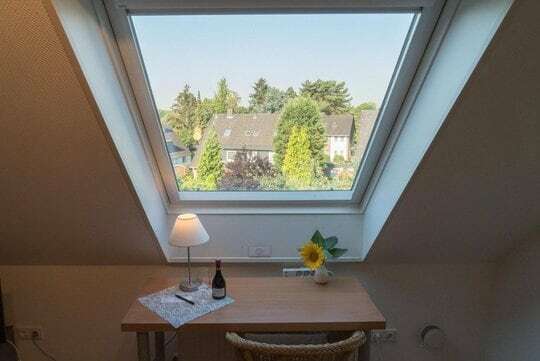 Our cosy attic room with a view. Please note that all rooms are on upper floors, which are only accessible via stairs. If you need a helping hand carrying the luggage upstairs, we are more than happy to assist. *The prices listed are our regular rates without breakfast. In times of increased demand â€“ for example during a trade show, concert or sports event â€“ we reserve the right to amend prices accordingly. Sorry, we donâ€™t accept credit card payments. The nearest ATM is located 1 km from our accommodation. Last updated: March 20th 2019. Of course, weâ€™re happy to answer your questions and inquiries in person, too. 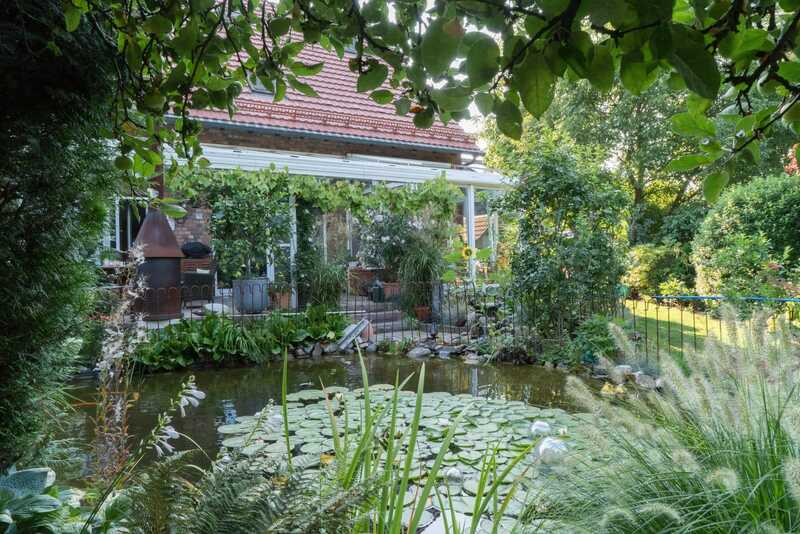 Our guesthouse is situated in DÃ¼sseldorf â€œLohausenâ€�, in the northern part of the city. 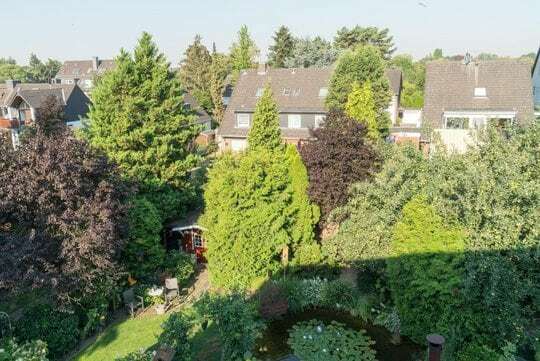 This neighbourhood is near the trade fair (Messe DÃ¼sseldorf), close to the airport and the event stadium â€œMerkur Spielarenaâ€�. Using a car or public transport, youâ€™ll reach your destination quickly and easily. 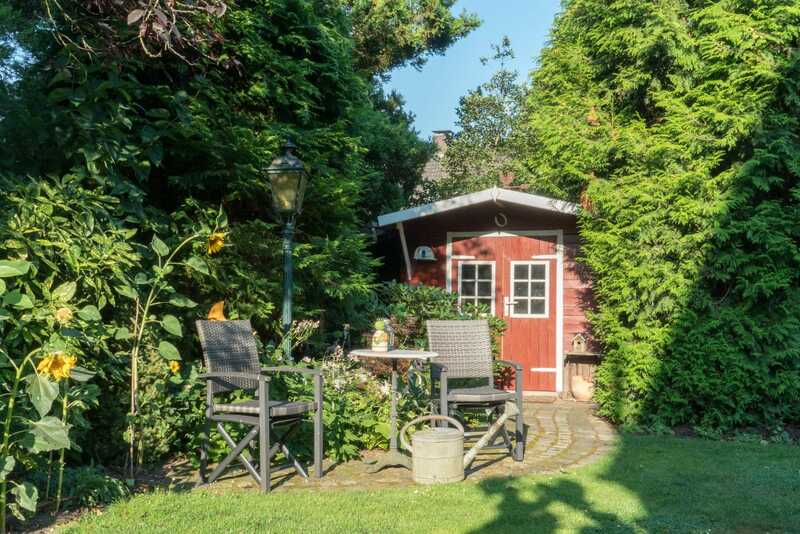 Numerous restaurants and bars are close-by, too, and the nearby river Rhine offers footpaths for a run or a relaxing stroll. 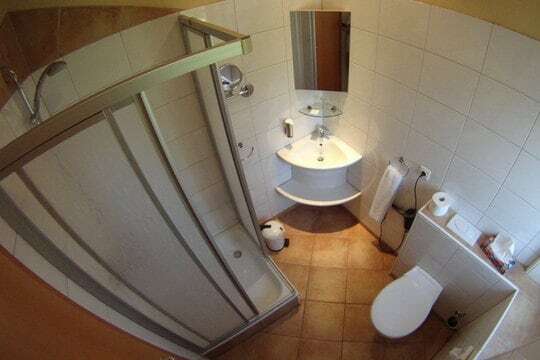 The guesthouse is located directly at the international airport DÃ¼sseldorf (DUS) and is only 5 minutes away by car or taxi. The bus line 760 will take you from our pension straight to the terminal. 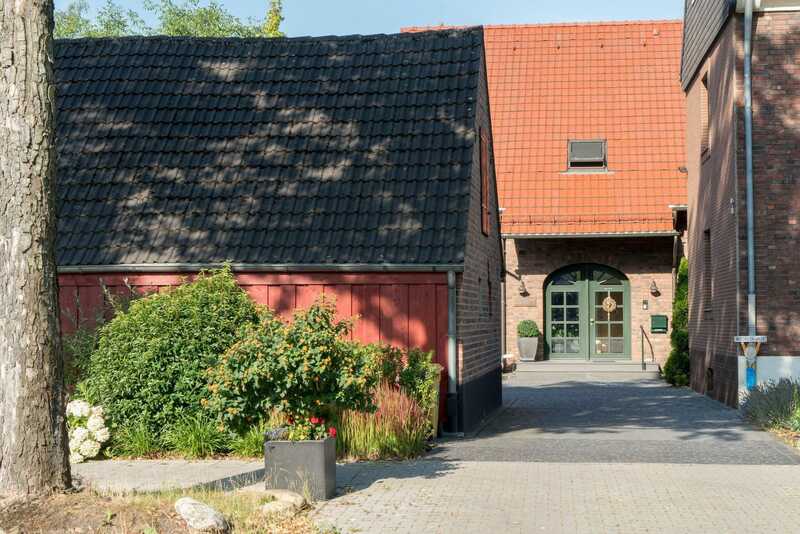 If youâ€™ve booked a car park at the Airpark Lohausen â€“ a mere 150 m away â€“ you can comfortably start your vacation by using their Shuttle-Bus service. The subway swiftly takes you into the city centre, featuring its famous old town (â€œDÃ¼sseldorfer Altstadtâ€�), the tv tower (â€œRheinturmâ€�) and the media harbour (â€œMedienhafenâ€�) among others. 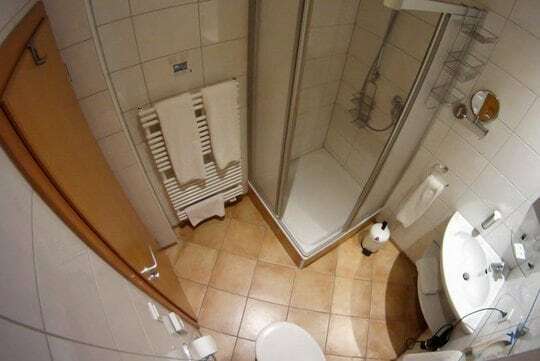 What our guests say about their stay at our accommodation in DÃ¼sseldorf. 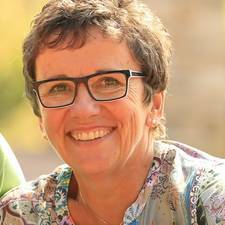 Maree Clarke, October 2018 via Google . Ricardo, October 2018 via Airbnb . Amrinder P S, October 2017 on Airbnb . Kristin, June 2017 on Airbnb . 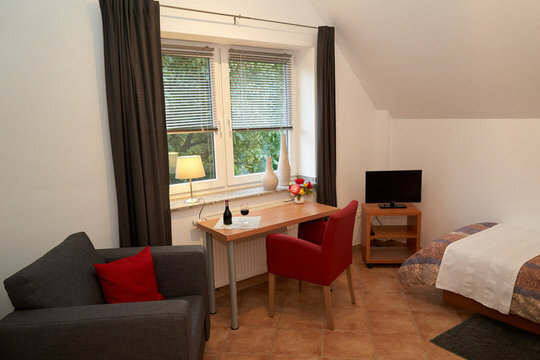 Guesthouse Boddem: Your guesthouse offering attractive and affordable accommodation in DÃ¼sseldorf. 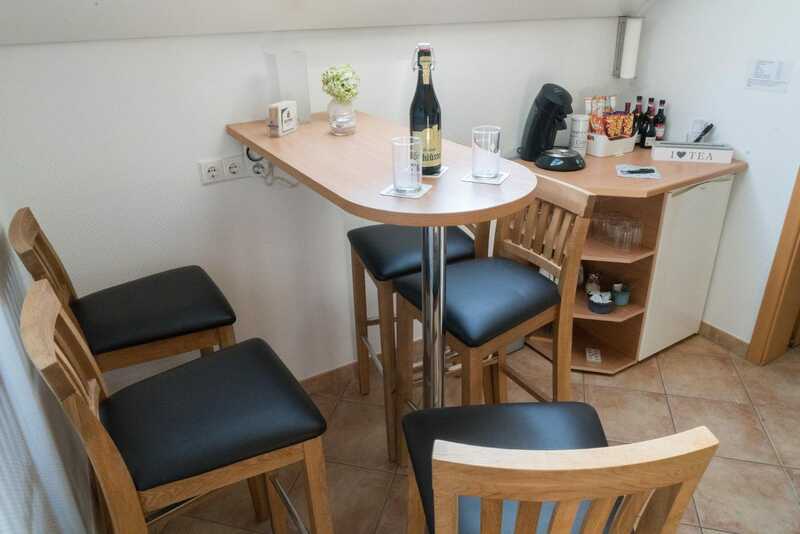 Located near the trade fair and the Merkur Spielarena stadium, and directly at the international airport (DUS). Website created by Daniel Pietzsch.